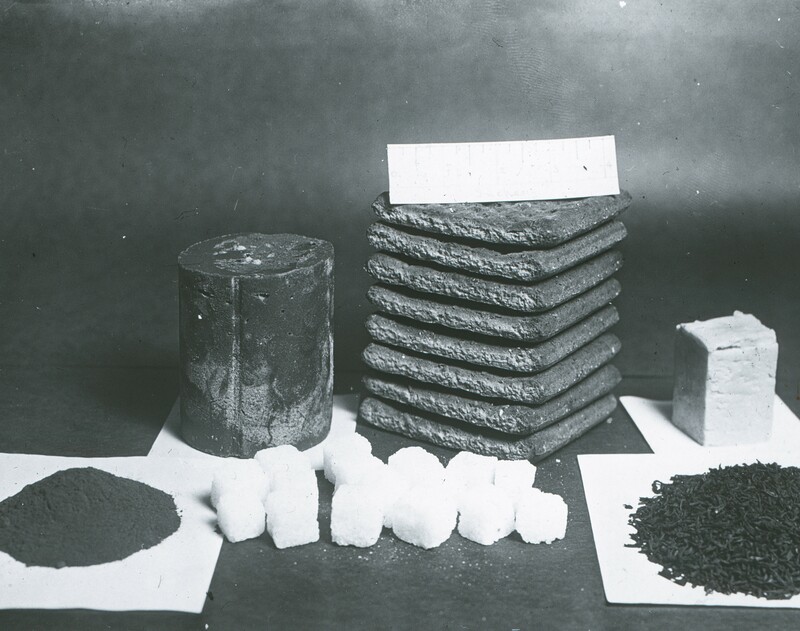 Slide, lantern slide depicting a black and white image of the standard sledging rations for one man, for one day, this relates to the Terra Nova Expedition 1910-1912. 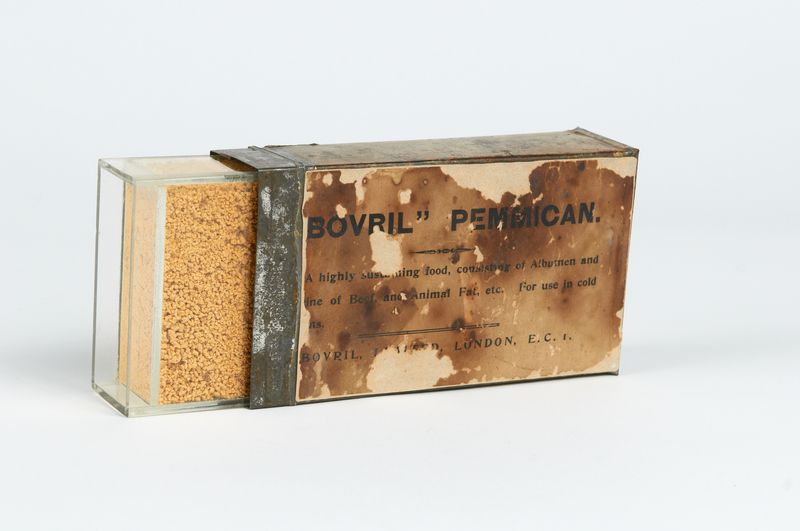 The original annotation on the slide reads 'sledging rations for 1 man for 1 day.' The printed label '91' and the handwritten stamp 'CVN 43' are also present on the slide. 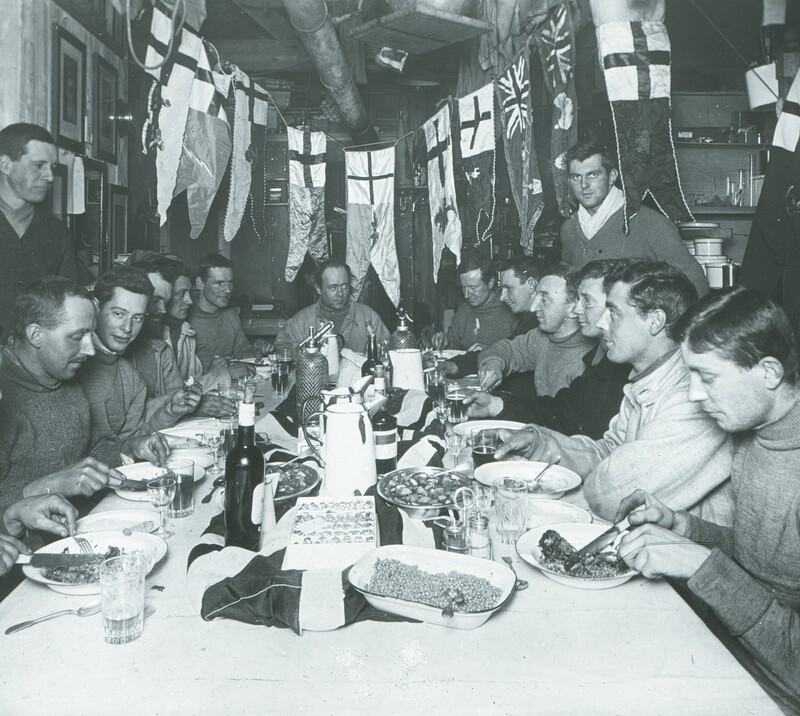 Part of a collection of fifty eight slides depicting scenes from various Antarctic expeditions.